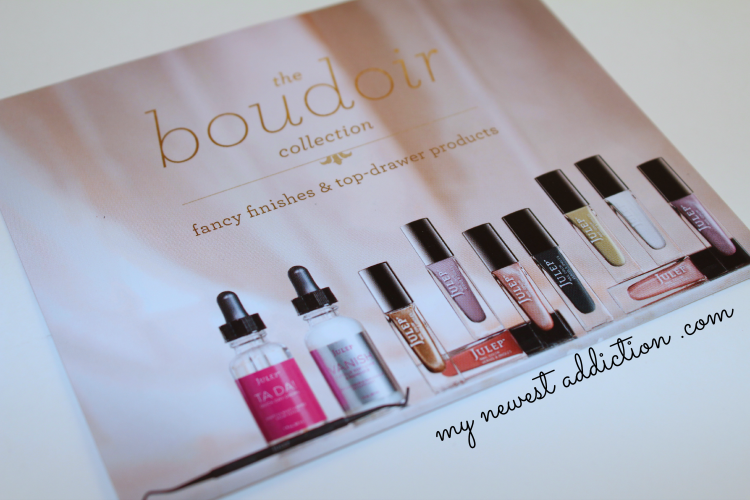 This month was “The Boudoir Collection” and it was designed to mimic fancy finishes & top-drawer products. There were 2 polishes in this box as well as fast-dry drops. There was also an extra! The TA DA! Quick-Dry Drops are back by popular demand! 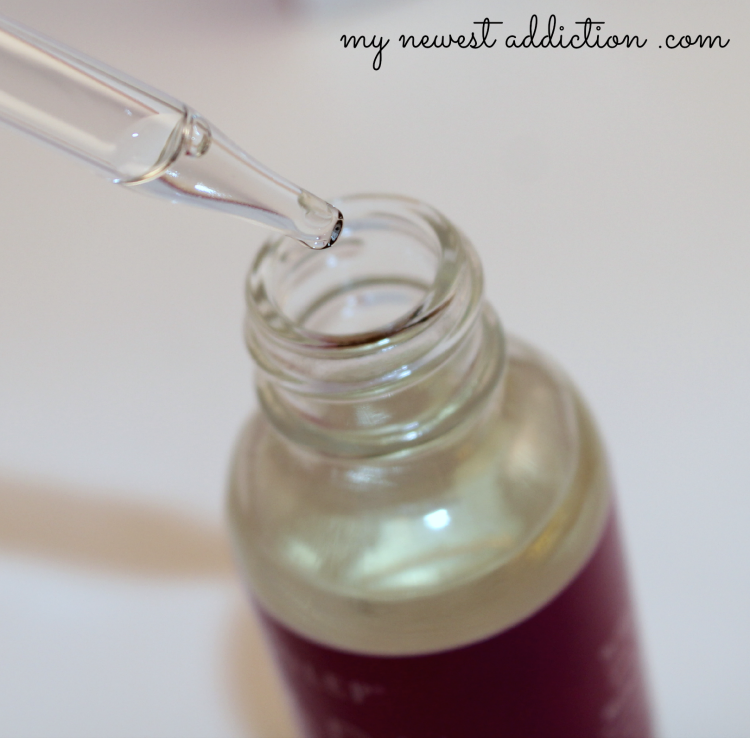 These drops actually allow your mani to dry more quickly! 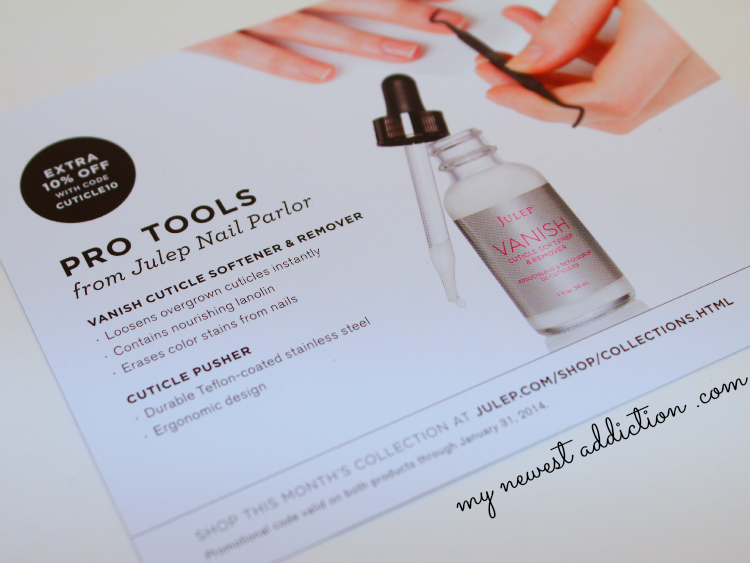 It is formulated with botanical oils and vitamin E so it nourishes your nails and cuticles. It is scented with lavender and ylang ylang. The only real instructions for this product are to wait one minute from time of application and drop the liquid on each nail. The two polishes for the Boho Glam January 2014 box are called Hannah and Noelle. Hannah is a sage green creme shade. My first reaction to this polish was, “Oh… green… baby poop green.” But when I put it on my nails it actually took a brighter tone and looks more like a spring green. 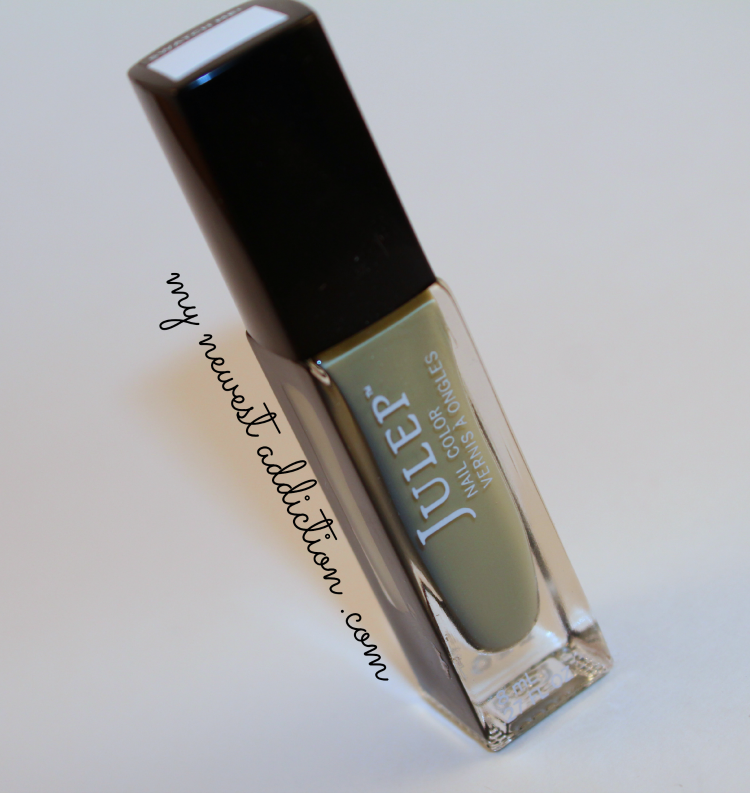 Noelle is a new formula that has a silky/satiny finish. It is described as a sandy beach silk. What I find interesting about this polish is that it is shimmery but has a frosted glass type of finish. It isn’t matte but it sort of feels and has the same appearance. 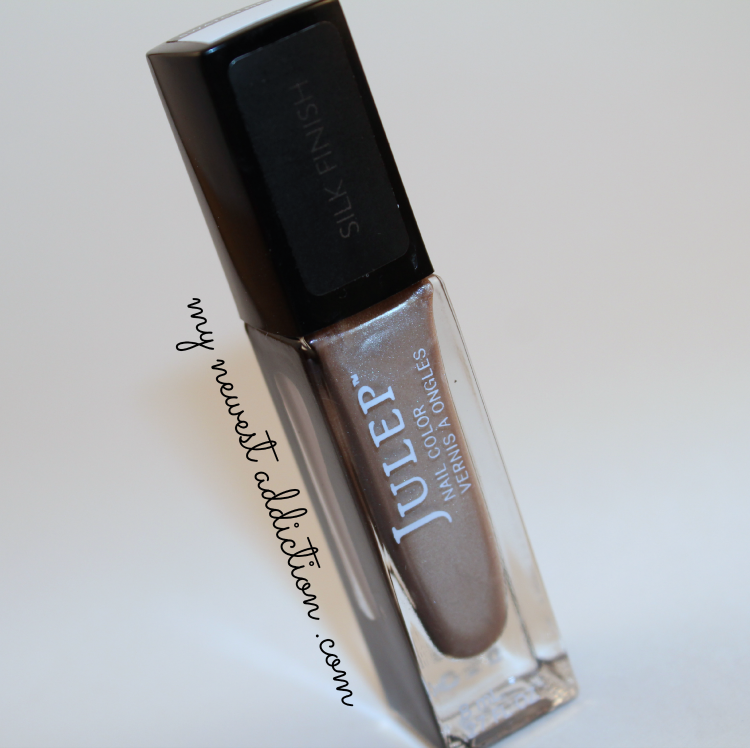 It has that soft texture vs other polishes that have a slick texture. It is truly a gorgeous polish and one that I, personally, find very unique. 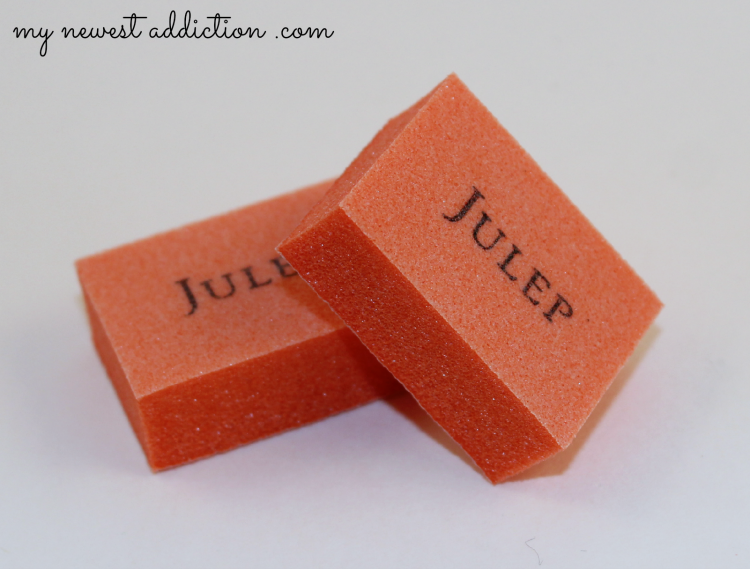 The extras in this box were little orange squares that I am fairly certain are nail buffers??? They leave no explanation of what they are. I searched and searched and searched their websites and never found anything. Overall I think that this box was pretty good. 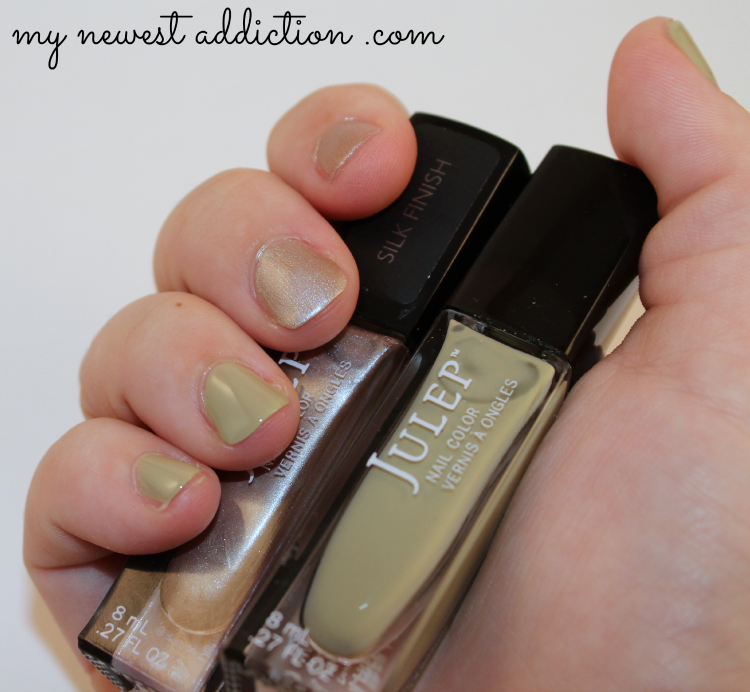 I have been meaning to get a quick-dry liquid and never have, I love the new finish of the Noelle polish, and Hannah is green but it is a green I can work with! Win win! 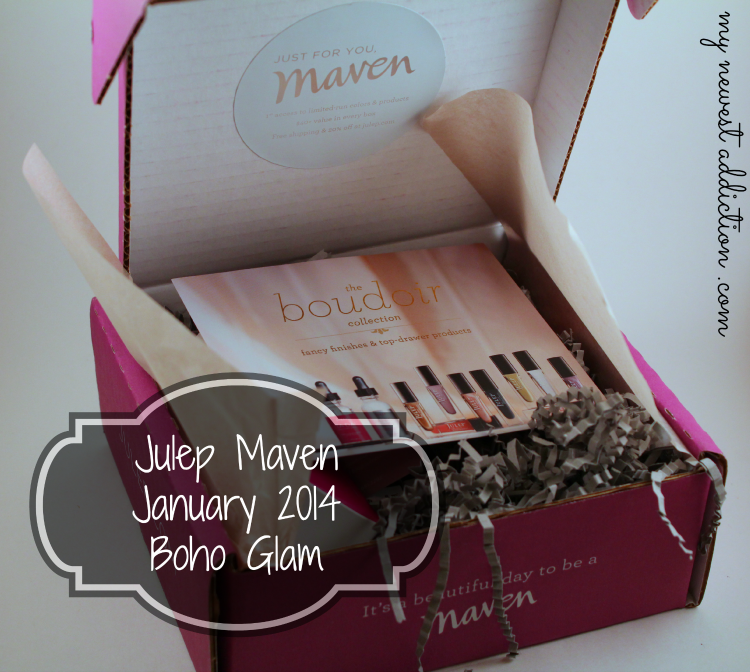 Julep Maven boxes are $20 a month but you can get your first box for free using the code FREEBOX!